J. R. R. Tolkien is the wildly imaginative author of The Lord of The Rings fame. One of the greatest writers of the 20th century, Tolkien’s talents were not limited to writing novels, he was also a poet, philologist, scholar and university professor. In addition to being referred as the father of modern fantasy, Tolkien was also ranked sixth on a list of ‘The 50 greatest British writers since 1945’ in 2008. Forbes declared him the 5th top earning dead celebrity in 2009. On January 3, 1892, John Ronald Reuel Tolkien was born in Bloemfontein, South Africa. Tolkien settled near Birmingham, England at the age of four after his father, a banker died in South Africa. He went to school at King Edward’s School in Birmingham and Exeter College. He later studied English language and literature at Oxford where he received a B.A. in 1915 and M.A. in 1919. Tolkien married his long time love, Edith Bratt in 1916. He served in the army briefly during World War I as a second lieutenant. After the War, Tolkien’s first civilian job was at The New English Dictionary better known as Oxford English Dictionary today where he worked on the history of words of Germanic origin. He spent most of his life teaching English language and literature at renowned universities such as Leeds (1920-1925) and Oxford (1925-1959). His influential 1936 lecture, Beowulf: The Monsters and the Critics opened new doors to research on Beowulf. 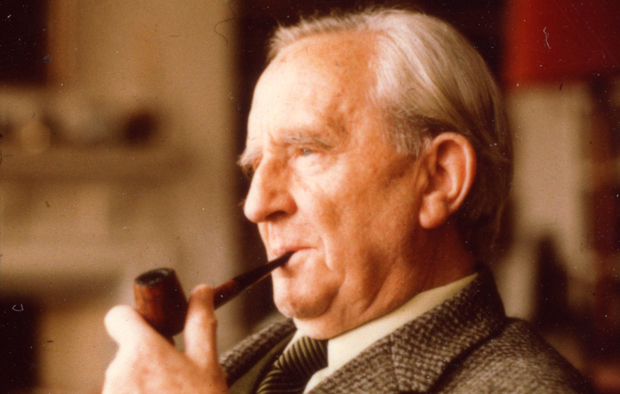 Inspired by mythologies and legends, Tolkien spent a lot of time writing ingenious fantasy stories. He invented his own languages to be spoken by the elfish characters in his tales. The Silmarillion, which was published in 1977 long after it’s completion is a depiction of Tolkien’s thirst for learning early languages and making up his own fantasy language. The Hobbit (1937), which Tolkien originally wrote for his children, narrates the story of a Hobbit, a small man like creature who set out on a quest for treasure. Gaining immense popularity, the book was published again with pictures drawn by Tolkien. The publisher convinced Tolkien to write a sequel which came 17 years later in the form of The Lord of The Rings (1954-1955). Although Tolkien intended to target it towards children as a sequel to The Hobbit, instead it turned out to be more serious and attracted a grown up readership. The Lord of The Rings has topped many lists and was named The Nation’s Best Loved Book after a survey conducted by BBC in 2003. Published in three volumes namely The Fellowship of the Ring, The Two Towers, and The Return of the King were later adapted to screen by NewZealand director Peter Jackson in a series of three parts films in 2001-2003. Some more of Tolkien’s further noted works include Farmer Giles of Ham (1949), The Adventures of Tom Bombadil and Other Verses from the Red Book (1962), Tree and Leaf (1964), Smith of Wootton Major (1967). Some of Tolkien’s incomplete work finished by his son Christopher after his death includes The Silmarillion, the “prequel” to The Lord of the Rings, Unfinished Tales of Nmenor and Middle-earth (1980) and Children of Hrin. J. R. R. Tolkien whose legacy continues even today through his masterpieces died on September 2, 1973.